Norder Supply Inc. Do Biological Products Work? The last few years we have seen an influx to the ag retail market of products classified as Yield Enhancing. We have also experienced a rise in Biological products. Yield enhancing products will contain biologicals, but this category also contains traditional fertilizers and seed treatments. The significant increase in biological products recently may be because these products are not subject to the same government review by the EPA that manufactured chemicals and fertilizers are. This makes the process between research and development to market a quicker and cheaper process. Traditionally these products made it to the farm through independent dealers, but in the recent years, large corporations like Monsanto, Bayer, and BASF have released biological containing products. A common question from customers is “Do these products work?” and the short answer is maybe. I believe that most if not all companies do there due diligence to thoroughly test products and have achieved positive results. However, this does not guarantee success on your farm. The best way to test a product’s effectiveness is on farm testing. Placing strip trials and then evaluating the comparisons will let you know how these products perform on your farm. Climate FieldView is a great tool for customers to use to evaluate on farm test plots. The digital tool is very easy to use and product analysis is quick when using field region reports. For four years, Norder Supply has been working with growers with the Row2Row program to perform on the farm research. Norder Supply also uses local replicated research trials to support on the farm findings. One of the most important parts of any farm research is to follow protocols and observe the product’s performance throughout the season. If the products intent is to remedy a crop nutrient deficiency, and then placed on a high fertility soil, the product is not likely to perform. Growth regulator products often require multiple applications, so a single application is probably not going to create an increase in yields. Many Yield Enhancing products recently to market fail large scale. During the four years of Row 2 Row, only a few products have provided positive results year after year on a large number of acres. These products are Liftoff Complete starter fertilizer blend and Quickroots seed treatment for soybeans. 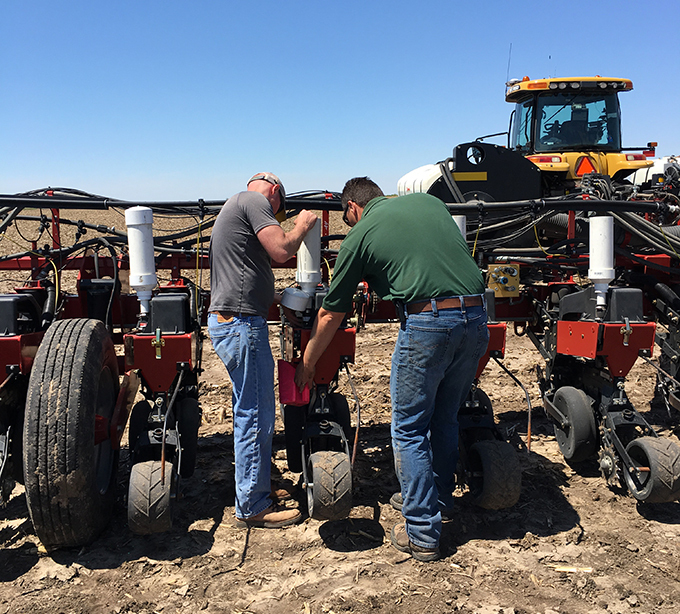 Norder Supply is committed to continuing the Row2Row program, but it requires the growers’ commitment as well to finding new, yield enhancing products. Solid agronomic principles are still the most important factor in achieving high yields. Some of these newer products may help, but fertility, seed selection, water management, and good weed management are still the building blocks. Input dollars spent in these key areas will be the most positive return on investment, year after year. Norder Supply’s Spot On Scripts provides precision ag solutions for management of the Soil, Seed, and Water, as well as data collection and Yield analysis for tracking inputs and evaluating on farm trials. Contact your Norder Supply Agronomist to find out more about Row2Row, Spot On Scripts, and find out how they can assist you in achieving maximum net return per acre.